Many thanks in advance to the team on site and for the many donations that made this project possible in the first place. 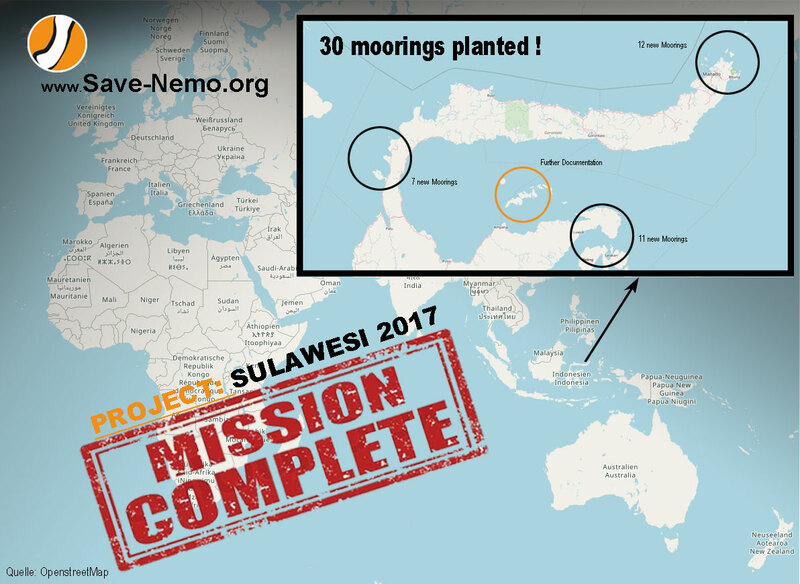 We start on 28/10/2017 in Manado with a specially for Save-Nemo converted fishing boat and are still looking for helpers and experienced divers. Our Save-Nemo team is back home in Germany and we have reached our goal: 30 Moorings have been installed! Also many new contacts could be made. Particularly interesting were the discussions around the protection of reefs with the dive centers of Sven and Ferdinand. Many thanks to you for the given information. Next PostNext What are microplastics?